MCC has served as the home of the elite in Midland since 1927. Since moving to its current location in 1954, it's maintained the reputation as one of the best and longest in the state. 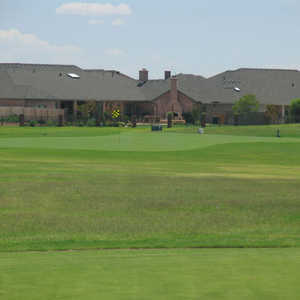 The 18-hole North/East at Green Tree Country Club in Midland, TX is a private golf course that opened in 1980. North/East at Green Tree Country Club measures 6811 yards from the longest tees and has a slope rating of 121 and a 73. The 18-hole North/West at Green Tree Country Club in Midland, TX is a private golf course that opened in 1980. North/West at Green Tree Country Club measures 6523 yards from the longest tees and has a slope rating of 117 and a 71. Midland's newest course, the centerpiece of a residential community named Grassland Estates, opened for play in October 1999. The course is open, void of trees, and designed with the prevailing West Texas winds in mind, which give the layout a definite Scottish-links-style feel. Hogan Park has been the long-time Midland institution for the Tall City layman, since it was the only public facility in town until Nueva Vista recently opened their daily-fee course on the west side. Ranchland is the private version of Hogan Park, void of the mesquite-dotted scrub that lines each hole. Here you'll find narrow fairways bordered by the standard cut of rough and large, mature trees. Built circa 1950, the flat, traditional layout plays to a par 70 and has water on nine holes. The newer 18 at Hogan Park, Roadrunner, built by Ron Kirby, is a links-style layout with minimal trees and more rolling terrain. You'll still need to keep it in the fairway because each hole is carved out of the nasty, mesquite-covered wastelands so typical of this area. The 18-hole West/East at Green Tree Country Club in Midland, TX is a private golf course that opened in 1980. West/East at Green Tree Country Club measures 6524 yards from the longest tees and has a slope rating of 117 and a 71.